Built by the Bristol Aeroplane Company, the Blenheim was initially designed as a fast passenger airliner for the civilian world. First flying in 1935, the Type 142 so impressed the Air Ministry that they ordered a modified design as a bomber. Initial deliveries came in March of 1937. 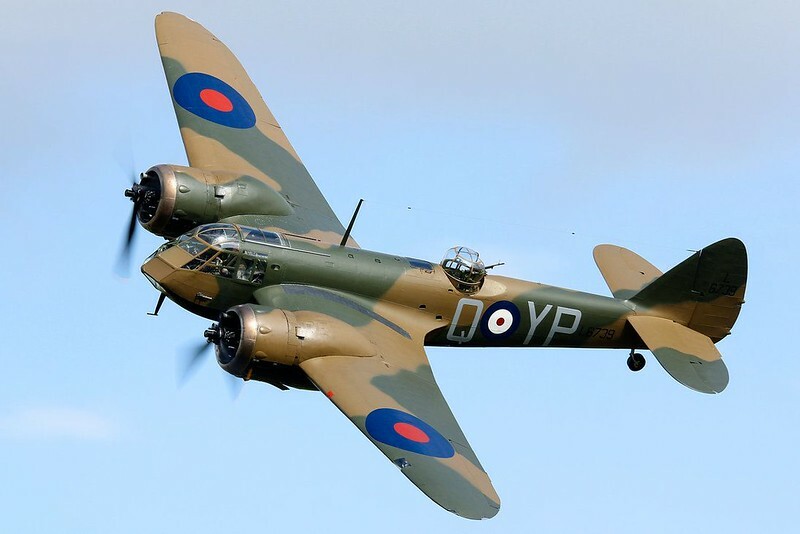 The Blenheim served faithfully from the start of the war in September 1939 until 1944 in the RAF. Finland kept them in service until 1948 when they were prohibited from flying bomber aircraft by the Paris Peace Treaty. 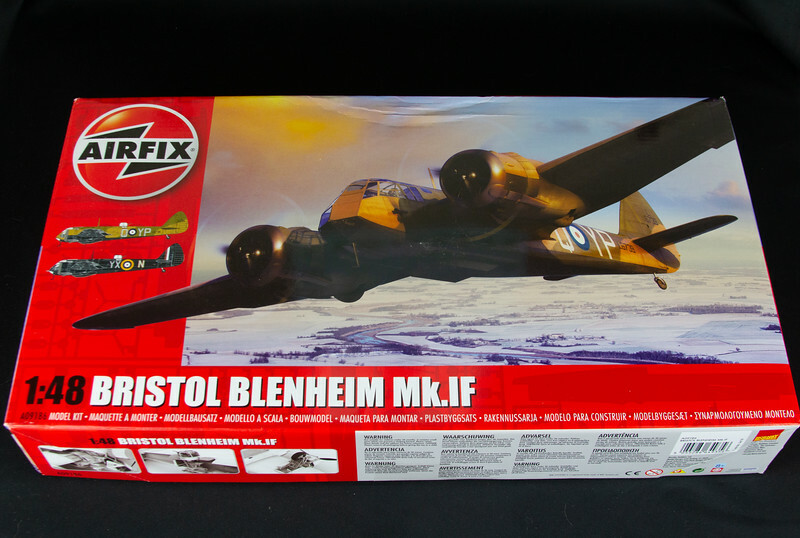 There have been many releases of the Blenheim throughout the years, but Airfix had set the bar with their 2014 release of the Mk.I and Mk.IVF in 1/72nd scale. Now they’ve released the Mk.IF in 1/48 scale and it looks like it’s going to raise the bar even higher. In this first part, we’re going to take a look at what comes in the box and what options there are for making the kit even better. 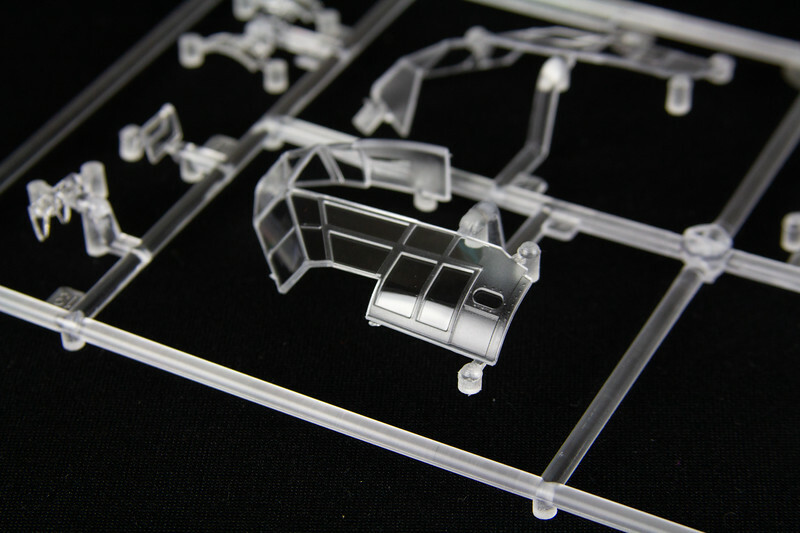 The first thing you see when opening the box are the sprues, 7 of which are molded in light gray. 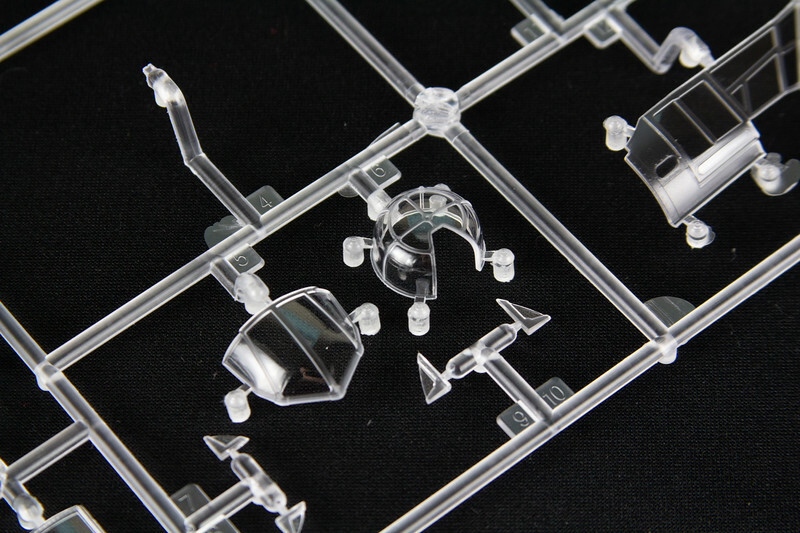 The clear sprue looks beautiful. The windows are crystal clear and the edges separating the windows and framework are very crisp. 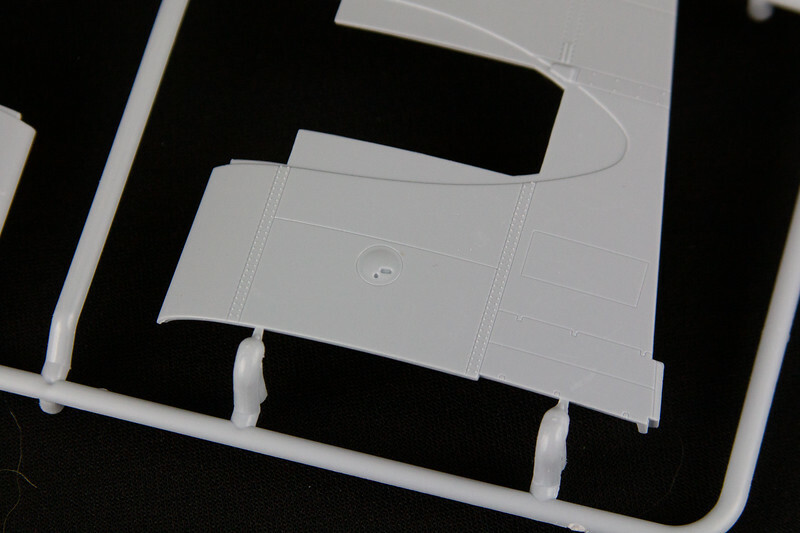 One half of my canopy was separated from the sprue but it doesn’t appear to have any damage. 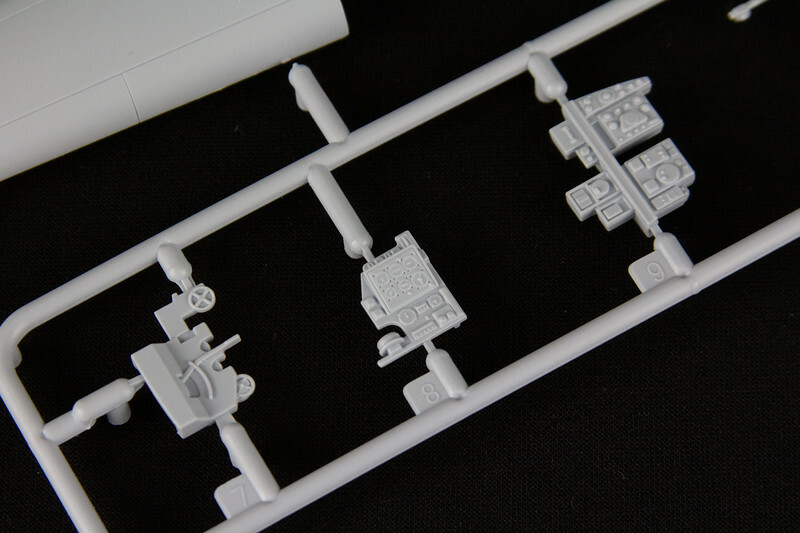 As you can see, the clear sprue is excellently molded. In some early reviews, using test shots, it was mentioned that there was a shortshot in one of the wings. It appears that this has been rectified in the production sprues. The wings do have some raised rivets that are nicely molded, but there doesn’t appear to be any recessed rivets across the wings or fuselage. I was pleasantly surprised to find that the massive trenches that usually appear as Airfix panel lines are nowhere to be found. They may be a little bit bigger than I would expect on a 1/48 kit, but they are very reasonable. The oddly arranged Blenheim cockpit is also molded rather well. The instrument panel and radio stack is crisp and Airfix includes decals for the instrument faces. About the only thing missing are seat belts, but Eduard already has a few photoetch sets planned or already released that will fill that gap. Airfix even includes a pilot figure that seems to fit the bill in quarterscale, but I’ll be leaving him out of this build. For those of you who like to pose your aircraft in flight, this should be a welcome inclusion. So what about the marking options? Honestly, I’m not all that excited by them. Airfix gives you two options out of the box, one of which is an early Battle of Britain scheme that appears on the Blenheim currently being flown by the Aircraft Restoration Company at Duxford. It’s a great looking plane, but I like my builds to have some wartime significance. The other option was flown during the war but is in a night-fighter scheme flown by an operational training unit. Doing the night scheme intrigues me but I have plans for a night-fighter P-61 in the near future and I don’t want to burn myself out on one scheme. I’ll most likely do a variation of the Battle of Britain look but not the markings for the ARC plane. The decals themselves appear to be printed well, all in register, and with thin carrier film. 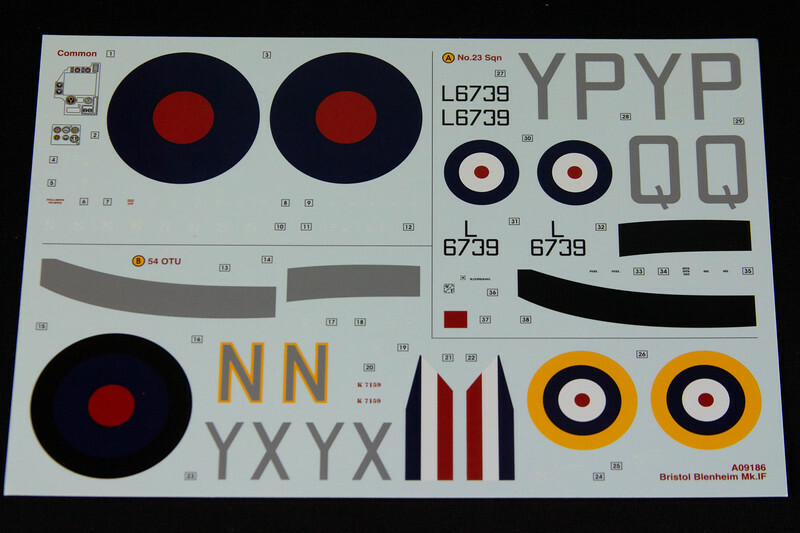 I’ll minimize their use as I often do but I’ll still need them for aircraft stencils. Fortunately, the number of stencils on these planes is minimal. Roundels and squadron letters will all be masked and painted. When the Plastic Advocate asked me to review this kit for him I was super excited. It’s not every day that you get to do a build and write about it for a friend, but I’m happy to do it here. The Blenheim has its own little niche in the history of World War II and I can’t wait to build one of my own. Stay tuned here, and at Life in Scale on facebook over the next few weeks for my in-depth look at the construction of Airfix’s new 1/48 Bristol Blenheim.